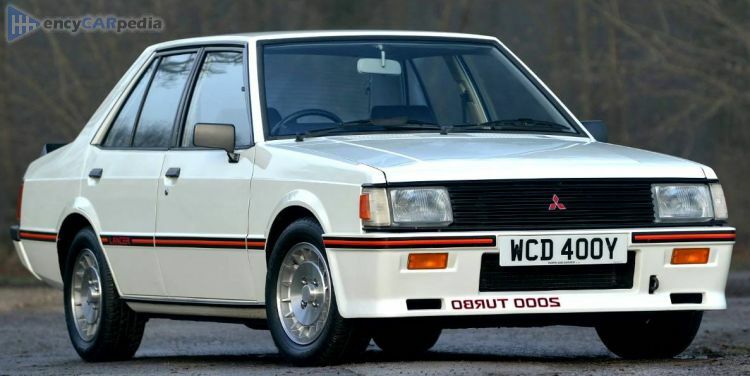 This Mitsubishi Lancer 2000 Turbo ECI was produced from 1981 to 1983. It's a rear-wheel drive front-engined compact saloon with 4 doors & 5 seats. With 168 hp, the turbocharged 2 Litre Inline 4 petrol engine accelerates this Lancer 2000 Turbo ECI to 62 mph in 7.6 seconds and on to a maximum speed of 127 mph. Having a kerb weight of 1075 kg.